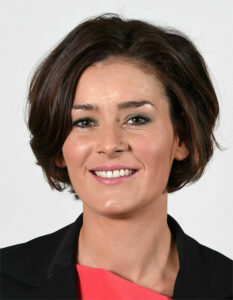 Kate O’Connell is a TD for the Dublin Bay South constituency. A pharmacist, businesswoman and mother of three, she also holds a masters in Primary Care and Business. A founding member of the Rathgar Business Association, she ran, successfully, for election at both local and national level in 2014 and in 2016. She strongly opposed the poor use of public finances while sitting on Dublin City Council and fought for maintaining water fluoridation across the capital, in line with the recommendations of all the major Irish dental schools. Her main areas of experience and expertise are Business, Family and Health and she is committed to improving standards/available services across all three sectors. Fine Gael’s Kate O’Connell has said Fianna Fáil’s health spokesperson needs to stop speaking out of both sides of his mouth and contradicting himself regarding entry level qualified nurses. A Fine Gael TD has said that the increase in health spending announced in today’s Budget demonstrates the Government’s commitment to our health service.